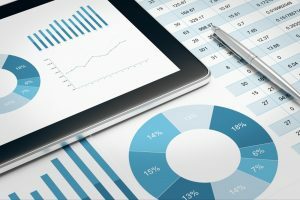 As my co-author, Andrew Berkin, and I explain in our forthcoming book, “Your Complete Guide to Factor-Based Investing,” no matter how strong the evidence regarding the persistence and pervasiveness of an investment factor’s return premium, there’s some chance that the factor will experience long periods of underperformance. You can see the evidence of this in the table below, which shows the odds of some common factors experiencing a negative return over various time frames. In the case of each of the six equity factors listed, note that the longer the horizon, the lower the odds of underperformance. With the exception of 20-year periods for the momentum premium, there was always some chance that the factors would underperform. The fact that all factors, including market beta, may experience long periods of underperformance serves as an argument for diversification across factors. It is not an argument for avoiding investment in a factor altogether. Clearly, the benefits of diversification are well-known. In fact, it has been called the only free lunch in investing. However, investors who adopt the strategy of broad diversification must understand they are taking on another type of risk, a psychological one known as “tracking error regret.” Think of tracking error as the risk that a diversified portfolio underperforms a popular benchmark, such as the S&P 500. Regret over tracking error can lead investors to make the mistake of confusing ex-ante strategy with ex-post outcome. In investing, there are no clear crystal balls. Thus, a strategy should be judged in terms of its quality and prudence before—not after—its outcome is known. Yet investors often make this mistake. Consider the evidence in the table below. Despite the S&P 500 Index having provided dramatically lower returns than safe Treasury investments over the nine-year period in question, I have not met any investors who lost faith in their belief that stocks would likely outperform in the future (although I have met many investors who panicked and sold because they thought in the short run the market was going lower). Now, consider the additional evidence in the table below, which shows the performance of U.S. small-cap growth and small-cap value stocks over the latest eight-year period. While few, if any, investors have lost faith in the equity premium, I’ve come across many who question whether small-cap value stocks will outperform in the future—despite the fact that the underperformance of small value stocks relative to small growth stocks was a fraction of the underperformance of equities versus Treasurys. Let’s now take a closer look at some long-term historical evidence, which should give investors a sense of optimism regarding the outlook for small value stocks. I want to thank Christine Wang of Bridgeway Capital Management for the following data. Since 1926, value stocks have outperformed growth stocks, on average, by 4.2% annually. Small-cap value stocks have delivered an even greater long-term premium, outperforming small growth stocks by 6.1% annually. However, short-term relative performance of the small-cap value asset class often is not for the faint of heart—as recent value investors have experienced. Small-cap value underperformed the market every month for 21-consecutive months spanning the period May 2014 to February 2016. And that isn’t even the longest stretch of consecutive months of underperformance, which was the 42-month (or 3.5-year) period from January 1929 through June 1932. More recently, we experienced a consecutive 26-month stretch of small-cap value stock underperformance from July 1989 through August 1991. In fact, the average length of consecutive months of underperformance is 11 months. Perhaps, after reviewing the data in Table 1, such periods of underperformance should no longer come as a surprise. Wang found that on a one-year rolling basis, small-cap value has underperformed the market quite often—almost four out of 10 periods. But as you saw with both the size and value premiums in Table 1, as the time period increased, the percentage of periods in which small-cap value underperforms the market drops dramatically. On a 10-year rolling basis, small-cap value has underperformed the market in only about 7% of periods. What’s more, there has not been a single 20- or 25-year period during which small-cap value has underperformed the market—which, of course, doesn’t mean it cannot, or will not, happen in the future. Wang then pointed out that while small-cap value has lagged the market in about one-third of three-year periods, its positive relative performance during the remaining three-year periods has been enough to generate much higher annualized returns than the overall market. In addition, Wang examined how small-cap value stocks performed after periods of poor performance. Table 4 shows small-cap value’s three longest periods of underperformance, as well as its relative performance during the same number of months after a turnaround. Note how much greater the succeeding outperformance was than the previous underperformance. To make sure this is not misleading, it is important to observe that future outperformance must be greater than the prior underperformance to fully recover. For example, the 27.5% underperformance in the period from July 1989 to August 1991 required a 38% outperformance to fully recover. In each of these three cases, the succeeding period’s outperformance was more than sufficient to offset the prior underperformance. Wang also took a broader look at the issue of underperformance. When she examined each of the rolling 10-year periods of small-cap value underperformance, she found that small-cap value stocks went on to outperform the market during the next 10 years by an average of 10.1%. Using the book-to-market (BtM) ratio, Wang next examined the historic relationship between the valuations of small value stocks (using the Russell 2000 Value Index) compared to the valuations of the market. Given the recent underperformance of small value stocks, it should not be a surprise that the BtM ratio of small value stocks to the market showed them trading at a higher-than-average spread (meaning they are relatively cheaper than the historic relationship). That forecasts a higher-than-historical premium because relative returns for small-cap value have been strongest when small-cap value stocks have been cheapest, and weakest when small-cap value stocks have been the most expensive. Wang found that when small value stocks were in the most expensive quintile, they underperformed the market by 1% over the next 10 years. When the ratio was in the next two quintiles, small value stocks basically matched the returns of the market. When their valuations were in the next-to-cheapest quintile, they went on to outperform by an average of 1.8% a year. When their valuations were in the cheapest quintile, they went on to outperform by an average of 5.6% a year. Currently, as Wang noted, the ratio is well into the least-expensive quintile. Thus, one should expect particularly strong future returns from small-cap value stocks. As we have discussed, all factors, including size and value, have experienced long periods of underperformance. Thus, before investing in any factor (or asset class), you should be sure that you have a strong belief in the rationale behind the factor (or asset class) and the reasons why its premium will persist in the long run. This is important because, without this strong belief, it is unlikely you will be able to maintain discipline during the inevitable long periods of underperformance. And discipline is one of the keys to being a successful investor. Lastly, because there is just no way to know which factors will deliver a premium in the future, I recommend you build a portfolio that is broadly diversified across factors. Remember, it has often been said that diversification is the only free lunch in investing. Thus, you should eat as much of it as you can.